Working with Bewleys, we were asked to create a new coffee and tea retail concept for Donnybrook Fair. 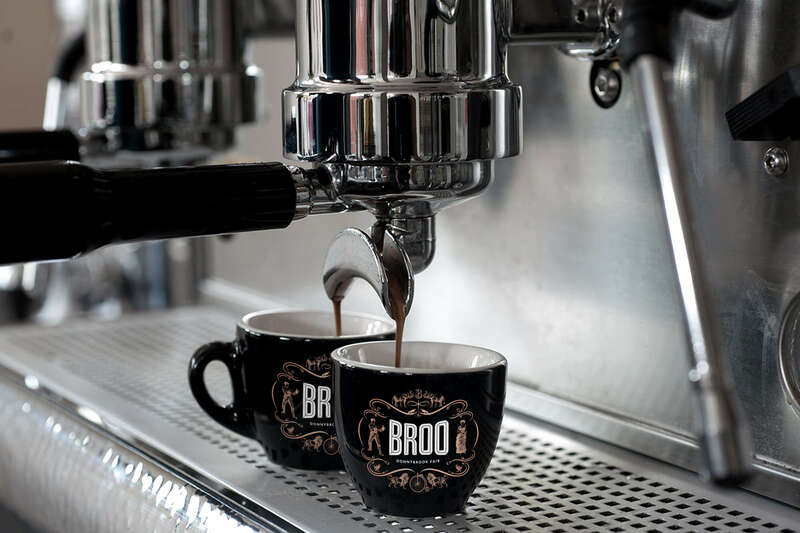 To closely align this new offering to Donnybrook Fair we named it Broo taken from the word Donnybrook with an obvious nod to the product itself. For the brand identity, we took inspiration from the infamous fair held on Donnybrook Green. Since its inception in 1204, carnivalesque celebrations and indulgences were the order of the day, until its demise in 1866 due to wanton and disorderly behaviour! With Broo we have chosen to pay homage to our colourful past by featuring some of the wonderful characters and animals who would have frequented the fair in it’s day. The logo is reproduced in a bronze metallic foil on most print pieces and is complemented with a muted pastel palette. Work includes application of the new identity to all print, packaging and interiors.